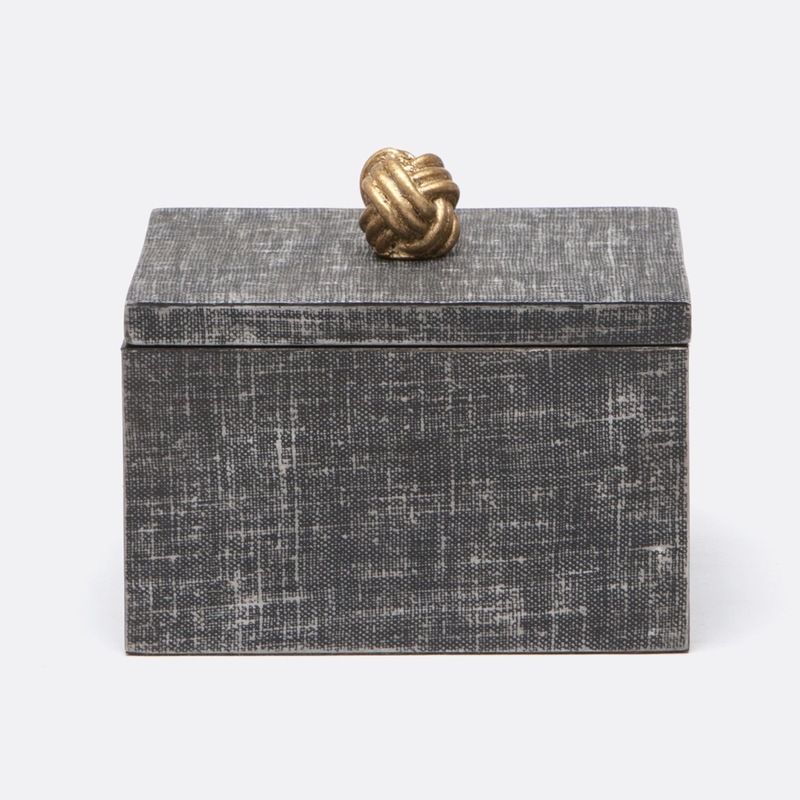 Add flare and function to your decor with this charming box adorned with a whimsical brass knot. 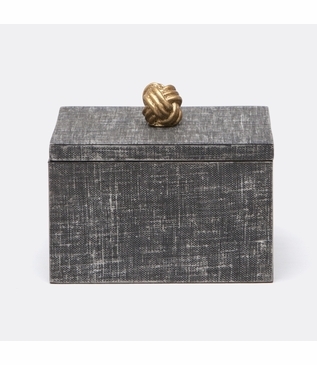 This box is perfect storage for jewelry or other small keepsakes. Shown in a grey faux linen finish. Size: H: 3" • L: 5" • W: 3"